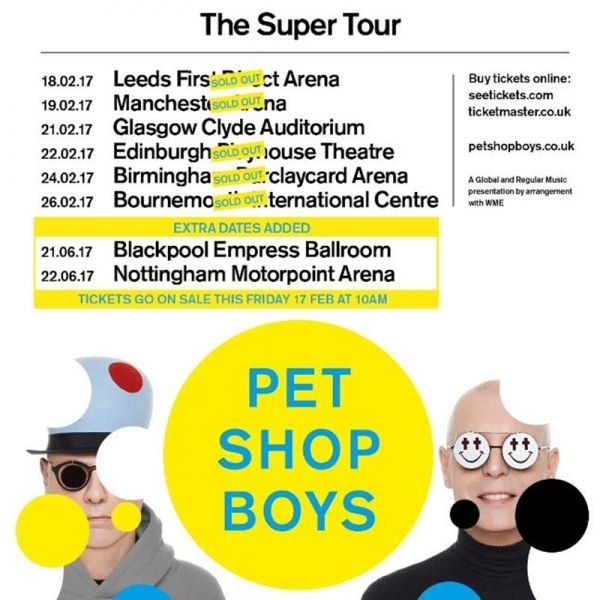 Touring to promote their thirteenth studio album, Super, it is hard to believe that the Pet Shop Boys first topped the charts a staggering thirty two years ago. 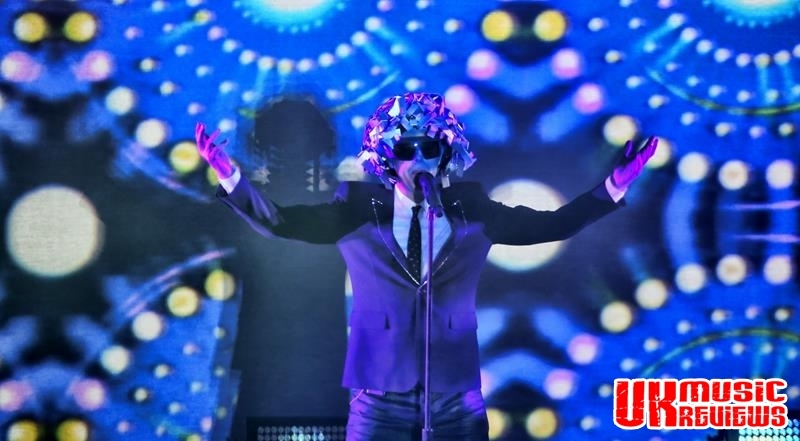 With the only changes being to their headgear and Tennant being a little more animated than his 80s Top Of The Pops appearances, these electro pop pioneers can still entertain with a flamboyant stage show that brought their electro music to life before a packed First Direct Arena crowd last night. 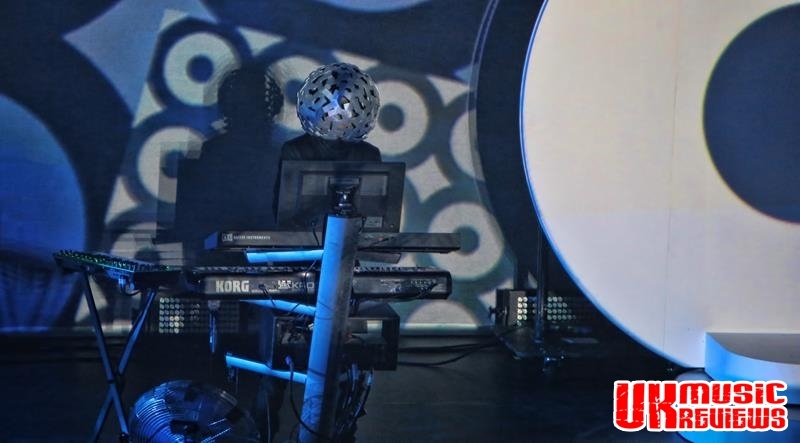 As large white spinning orbs on either side of the stage revealed the duo, it was no surprise to see Tennant wearing a Medusa style helmet complete with metal curls and Lowe’s metal headgear completely encasing him, as they opened with the shuddering techno of Inner Sanctum. Eighties gem Opportunities (Let’s Make Lots Of Money) was given an airing before their first visit to their new album with The Pop Kids. 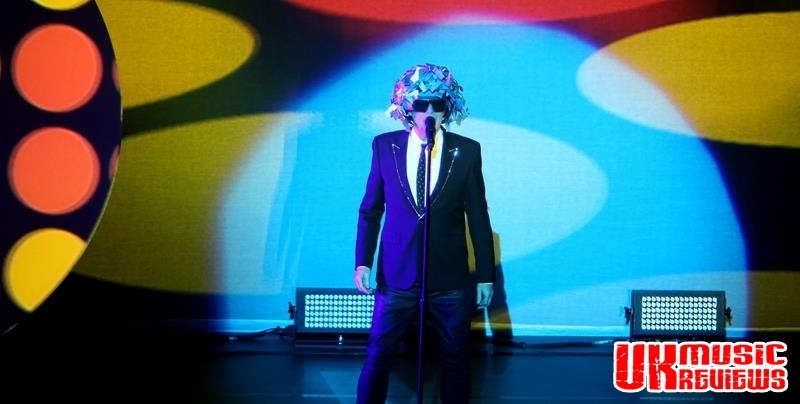 With headgear being a familiar theme as the Pet Shop Boys’ three auxiliary band members, (two percussionists and a keyboard player) also in helmets helped make The Night from their 2009 Billingual album sound as good as it did then. 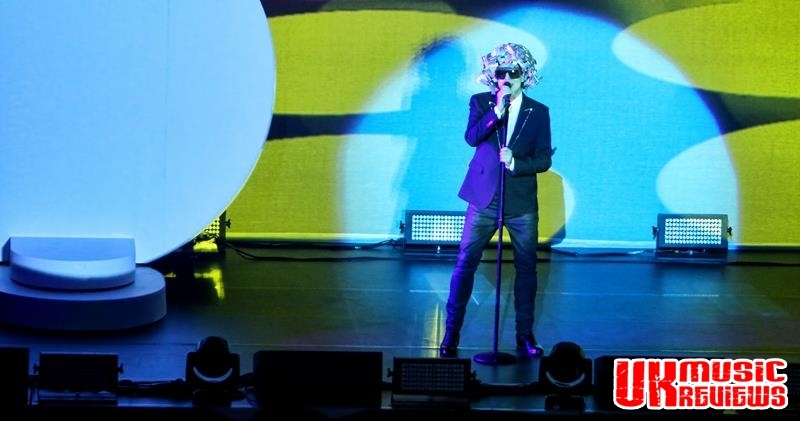 But shortly after, a team of boiler suited roadies arrived on stage to remove the helmets from the duo to wild applause as the fans got their first full glimpse of the smiling Tennant and the extremely sombre Lowe. When the keyboard player switched to an electric violin for Love Is A Bourgeois Construct, it was all taken up another level. The disco themed New York City Boy lifted the tempo before Se A Vide E (That’s The Way Life Is) met with the approval of the crowd. 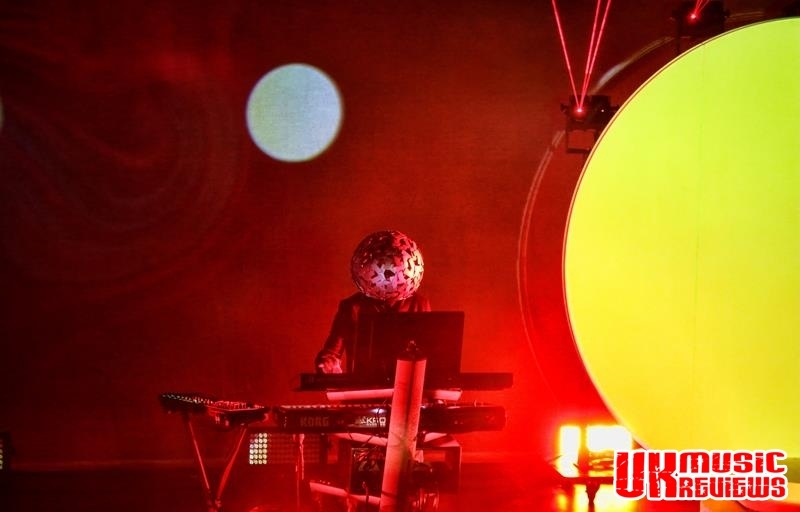 With a change of outfit for Tennant who came back onto the stage in a black hat and coat for the chilling The Dictator Decides with its imagery of his head projected on the screen complete with a disturbing crown of wriggling worms. But thankfully the mood is lightened when the band’s debut chart topper West End Girls brought the crowd to their feet and saw Tennant change into a silver jacket for the celebratory and jaunty Winner from their 2012 album Elysium. With spectacular lighting throughout the show taking this concert to a different level, it was particularly amazing during Home And Dry as strobes of coloured lights reached out and seemed to grab the crowd. 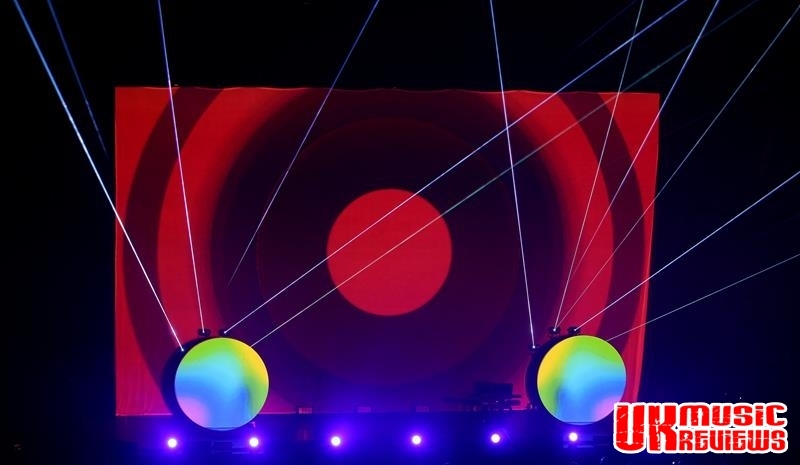 These fantastic lasers then meshed altogether into an indescribable web for the electro beats of The Enigma and Vocal. For the final part of the show, the crowd were on their feet as The Sodom And Gomorrah Show segued into It’s A Sin and a new version of old song Left To My Own Devices with its entertaining techno-bop romp. And it was a euphoric crowd that took over the chorus of Go West and the first song of the encore, Domino Dancing. 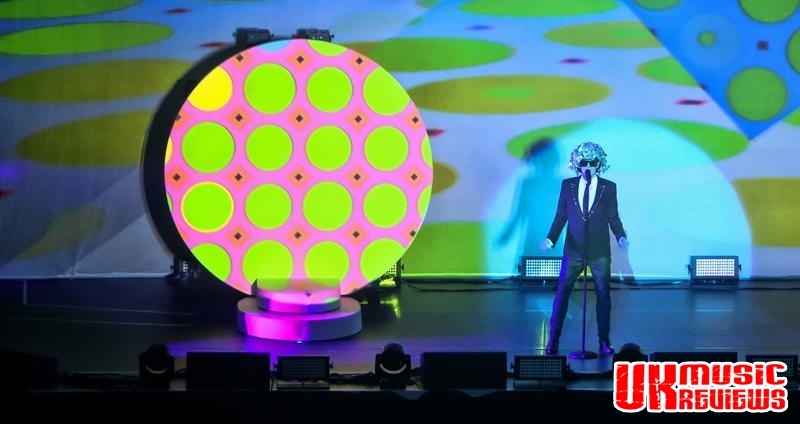 But it was Always On My Mind that finished this explosive set before they walked off stage to a reprise of The Pop Kids as giant multi-coloured balloons appeared to finish what was a sublime, ridiculous, and daft Pet Shop Boys concert; but we wouldn’t have expected anything else.